Days before the deadline for entries to the 2016 Metro Manila Film Festival, the Executive Committee announced a new rule regarding the submitted works. MMFF Execom member Boots Anson Roa explained on the November 3 episode of 24 Oras why there was an adjustment in the original deadline. "The deadline was moved to November 2 by virtue of October 31st and November 1st as non-working holidays." Based on the new rule, producers were allowed to submit movies that are still in the "Picture Lock" stage of editing, which means the scenes are in the final sequence but without the final enhancements. "Please be informed that the MMFF will accept entries for full-length films that are finished up to Picture Lock stage until November 2, 2016 (next working day after October 31). "The producers of the chosen eight (8) finalists will be allowed to make enhancements, i.e sound design, score, grading, and VFX, to their films. However, any revision to a film's edit after it has been selected will result in the disqualification from the festival." This is the rule now being questioned by those saying that this is unfair to those who submitted their completely finished movies in time for the deadline. GB Sampedro, the director of the movie Mang Kepweng Returns, spoke up regarding this newly implemented rule. "I'm happy and proud kasi kami natapos kami bago mag November 2. Sana naman may edge yung mga nag-submit na sumunod sa rules." His film starring Vhong Navarro and Kim Domingo is one of the movies aiming to become one of the 8 official entries of the 42nd edition of Metro Manila Film Fest. Senator Tito Sotto was agitated as he spoke about this controversial rule in the report aired on 24 Oras. "It's a complete violation of the original rules. "It's like changing horses midstream because may mga gustong sumali na hindi tapos. "Kaya parang binebend nila ang rules para ma-accommodate." 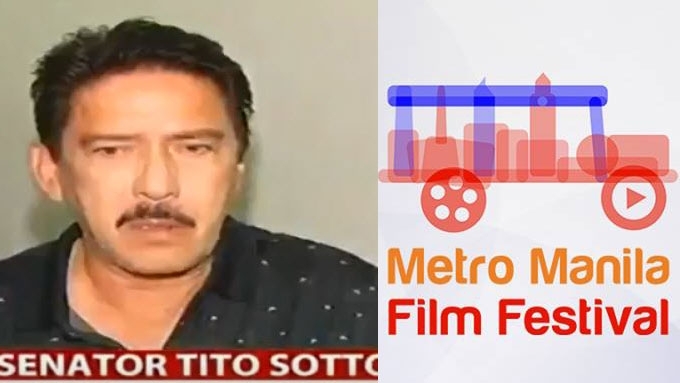 Senator Tito Sotto then issued a warning to the MMFF Executive Committee regarding this development. "If the MMFF Executive Committee will not do something about that last memorandum that they released, I plan to take it up in the Senate floor on Monday."